DVTk · A Conformance Statement in a week? Writing DICOM conformance statements is a specialist task; describing the supported DICOM Services, behavior and supported DICOM SOP classes for a product in detail, up to the attribute level. The second part of the DICOM standard provides good guidance in writing conformance statements. However, writing a accurate and complete conformance statement based on a specific implementation and its test results is still an art and takes a good amount of time. An accurate and complete conformance statement is an important input document in realizing interoperability with other information systems, since it describes capabilities and behaviors, defines, specializations as well as limitations regarding the DICOM communication implementation of a product. 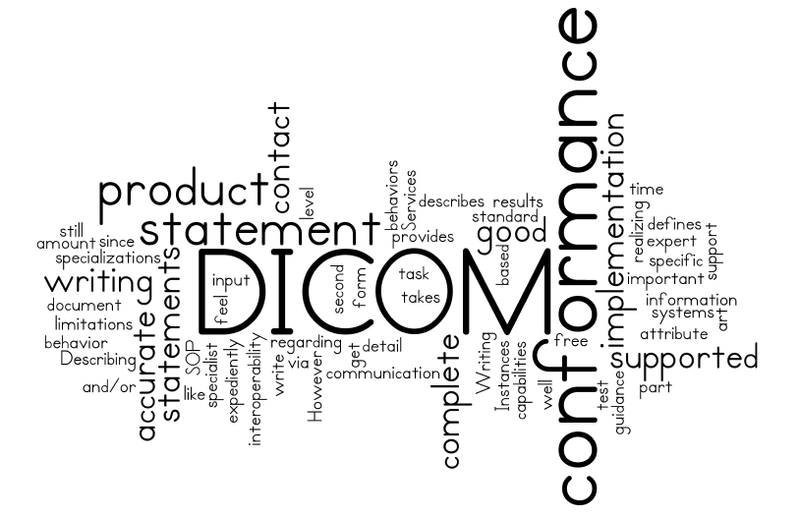 If you would like to get expert support and/or have us write your DICOM conformance statement for your product expediently, feel free to contact us.